Help toddlers discover what their favorite color is and what colors are in the exciting world around them in this tabbed picture book that leads children to 13 fun activity spreads. 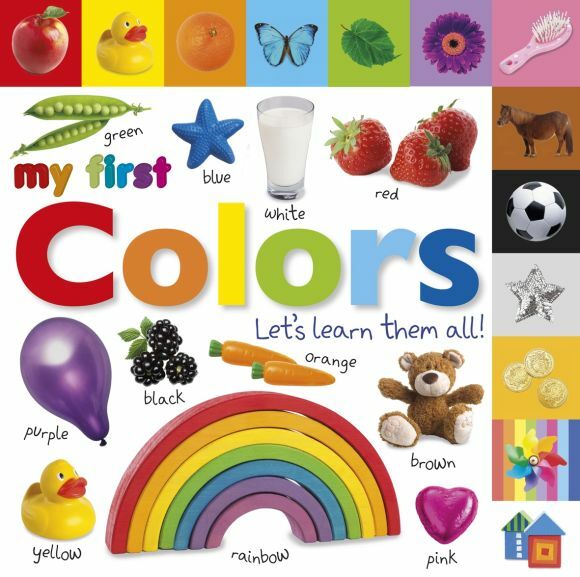 Filled with clear photography and simple text, Tabbed Board Books: My First Colors covers the colors of the rainbow, what color teddy bears are, what color rubber ducks are, and more. Look around the kitchen and name the colors of milk, carrots, and bananas. Perfect for learning all the colors and durable enough for toddlers to handle, Tabbed Board Books: My First Colors promotes early reading, listening, and writing skills.